A buzzword made so popular recently with the likes of iCloud, Dropbox and Microsoft Sharepoint, is it just that, a buzzword? Or is there something more? With headlines littering the news daily, and with every company beginning to carry the tagline ‘We use cloud’, some myths need to be dispelled and facts shared. Technically speaking, cloud computing is the practice of using a network of remote servers or computers hosted on the internet to store, manage and process data. This is usually managed by a third party company, (a vendor) who is responsible for everything; management, administration and trouble shooting. 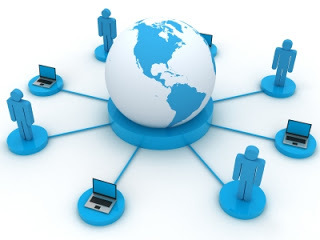 Often, these servers (or hosting devices) are located in various locations. Often, companies offer either a dedicated or shared server agreement. If dedicated, only your information is stored on a server, which is more expensive. Shared is the converse of this. Clearly, if you are in a shared environment you run the risk that others might have access to your data or bring down the server completely. Also, location wise, it is rare that you know exactly where the data you are storing is. This has become an all-to-apparent problem with shutting down of MegaUpload. Traditionally, these activities would be done using a local server or personal computer. So any data you are saving or accessing is stored locally, on your premises. In large businesses, this would typically involve a large room filled with servers in the basement of the building, to which each staff computer has access. For personal users, it just entails using hard disks or simply storing data on your PC or laptop. So, most websites and server-based applications ran on particular computers and servers. What is different with the cloud is that the cloud utilizes the resources from the computers as a collective virtual computer. Applications can run independently from particular computer or server configurations. With broadband internet, the need to have the software run on your computer or on a company’s site is becoming less and less essential. A lot of the software that people use nowadays are completely web-based. The cloud takes advantage of that to bring it to the next level. Thus, the hardware is less important. A summary of what is being offered by vendors is as follows. The most basic is called Infrastructure-as-a-Service (IaaS), which is just servers ‘in the cloud’. This is mostly for tech companies who just want access to computing power but don’t want to be responsible for installing or maintaining it. The next tier is Platform-as-a-Service (Paas) which is a cloud-based platform that companies can use to develop their custom applications or write software that integrates with existing applications. These environments are often equipped with software technologies like Jave, Python and Ruby on Rails (coding languages) to allow customers to start writing code quickly. The vendor then hosts the code and makes it widely available. This is often used by companies looking to outsource a piece of their infrastructure. Lastly is Software-as-a-Service (SaaS), which is the largest and most mature part of the cloud. It is an application or suite of applications that sits in the cloud instead of on the user’s hard drive or in a data centre. One of the earliest SaaS successes was Salesforce.com’s customer relationship management software. It was an ideal alternative to on-premise CRM systems when it was launched in 2000. Further developments now include productivity and collaboration software such as Google Apps, Microsoft Office 365 among other things. Have you noticed how much more dynamic webpages are? This is somewhat due to the development of Html5, which allows everything you are browsing to be cached (temporarily stored) to the cloud (e.g. Google server) which means you have less caching on your computer, taking up less space, and thus, ultimately less processing power. This means instant loading web pages, which are more dynamic. It also allows companies to give their users/customers more scope in business world online; just another aspect of internet progression. Other less technical benefits of the cloud include a significant reduction in cost. In fact, previously, companies had to fork out excessive budgets to manage servers and server management teams, whereas now, it can all be done by a third party, who often offer ‘pay as you use’ contracts, marking the end of user organization demand. Companies no longer have to manage the servers (they break down often), they don’t have to have an IT staff, and basically, the old headache has been alleviated’. Somewhat. Maybe. It also offers a collaborative atmosphere – take Microsoft Sharepoint, for example, which allows transfer and access of documents between groups. And it is being given out like candy to companies at the moment. Also, some smaller companies can use cloud analytic services, as they have access to big data that has been generated by other companies, and thus, can analyze their customers, or employees, or anything they want to. Another attraction is that access is given to cutting edge technology, with no need for the risk of ownership. The problems that are starting to come out of the woodwork are things like data ownership, security and contract obligations. Data ownership is an interesting one. You, the client, have asked a third party to look after your files and information. They have it stored on their servers, which is accessed using their applications and portals. 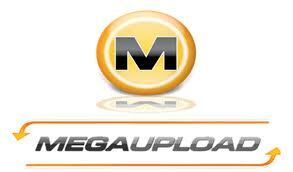 Megaupload.com was a file hosting service, run by a Hong Kong-based company. The site was shut down by the U.S. Justice Department on January 19th 2012 following the indictment and arrests of the owners in New Zealand, who are charged with copyright infringement. They argue that they just offer a service, and that it is not their responsibility that the users upload content (onto the cloud) that is illegal. So who takes the fall? The users cannot be easily tracked, and the owners now face the charges. This is an important thing to consider about the cloud. That said, it is only if the content being stored is illegal in the country it is being stored in, that problems will occur. Who polices this, and how does a vendor or client know what the law is of the country that the servers are based in? In effect, the cloud is breaking the usual boundaries, making it exceedingly difficult for law-makers to predict. Other minor issues include integrating new technologies with existing legacy systems in established companies, and thus issues with compatibility can arise. But usually, whole aspects of a process is outsourced to the cloud, so this may not actually be a particular problem. One way of looking at cloud computing, is as the industrialization of enterprise technology. This suggests a decrease in jobs, especially in areas that manage data centers. So it seems that the cloud is not quite as ‘wafty’ as it would at first appear. Also, considering that this technology, although newly revolutionized and popularized, is not actually new, it is most likely here to stay. Next Post Google or Googol?